Our bespoke candle is a colourful addition to anyone's home. 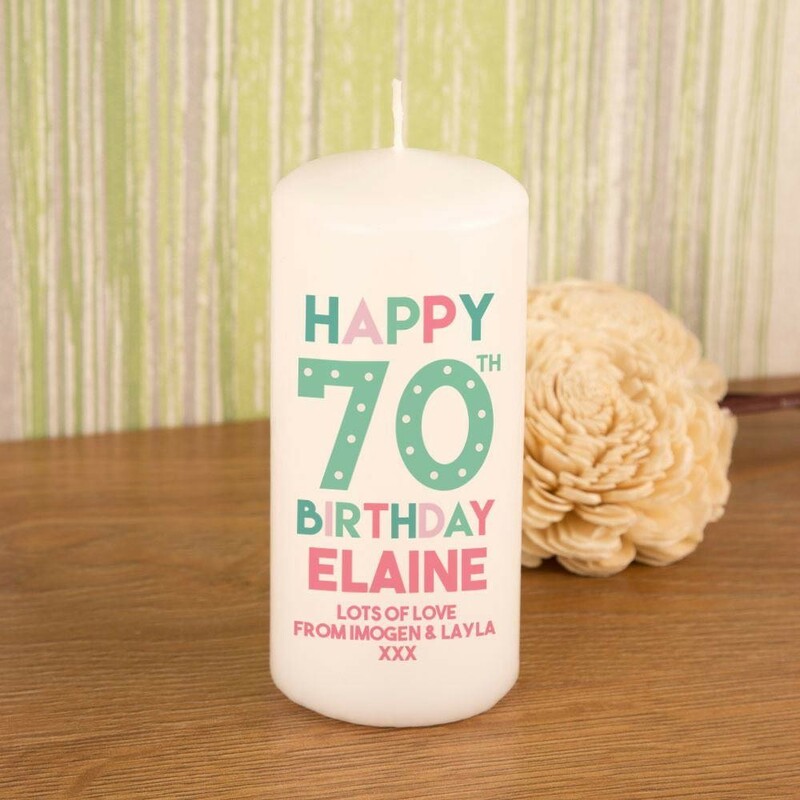 The candle is custom printed for a special lady celebrating her 70th Birthday. She will love the bold design, which features her name in bright colours. There is even option to add a short personal message, which makes it all the more unique. 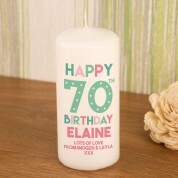 Whether you are treating a friend, Mum, Auntie or Grandma, she will be truly touched by such a thoughtful gift. She will love to show it off to visitors, or have it on display on her big day. The colourful decoration will pop no matter where it sits in her home and will remind her of how loved she is! 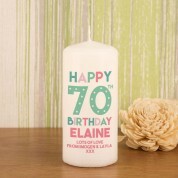 The candle comes gift ready for her in a drawstring, organza bag.